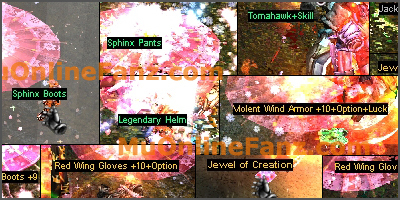 [Event] [Jack O'lantern] <+> [MU Online Fanz] <+> Official 3rd-party [MU Online] Fan Site & Game Guide! Occasionally, there is a Halloween celebration in MU! During these special events, supernatural monsters can be killed for nice rewards. There may also be special holiday items dropping from montsers. The special monsters have a unique drop table. A Pumpkin of Luck can be obtained from monsters level 68+. See reward section for details about Pumpkin of Luck. The special monsters will spawn all over the continent!